Was able to spend an enlightening day with Jeff Luttmer on Saturday. A fellow Adventure Rider who spent 2013/2014 riding down to Teirra Del Feugo. I spent countless hours listening to the wonderful, emotional, exciting, and battle stories from Jeff. Above all to hear of the spiritual and emotional journey that 53,000 km’s of riding on some of the hardest roads and best roads can through his way. From washout, landslides, high desert sands, roads that were more cattle trails than roads, torrential rains, military roads block, right up to the crazy border crossings. So what did I get out of it all. Well, to top the list I learnt ” No Fumar El Español”. Imagine being stopped by military police and regular check points. 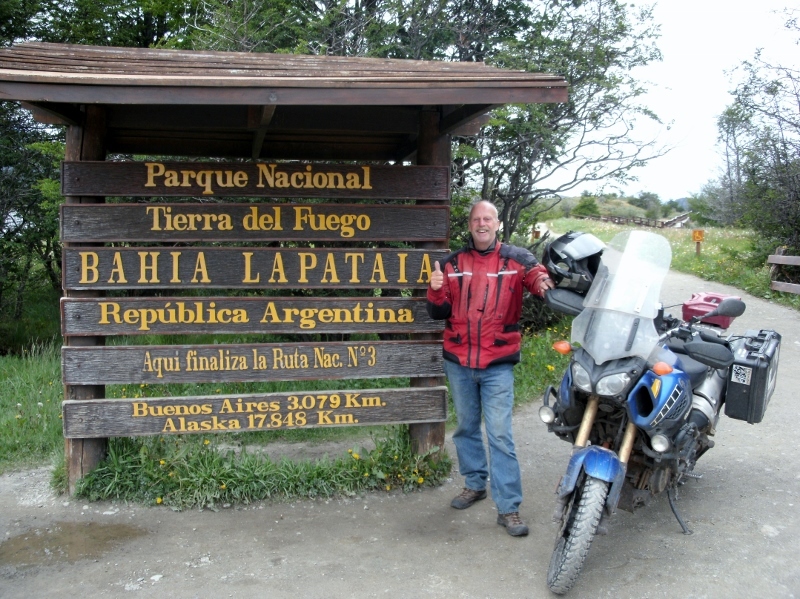 Up rides a ” gringo” on his big adventure touring bike. For the gringo it could be a little intimidating. Then they start speaking in Spanish, next the gringo starts waving his arms around in wild gestures to indicate were he has come from and where he is going while saying “No Fumar El Español”. Needless to say, that could disarm the most ” armed” of any military or anyone else as they roll around laughing.. Then hurrying the ” crazy gringo” by as they figure there is no point in bothering ” this one”. Point is. These types of adventures are only as ” dreadful” as you make them. Stuff is going to happen..it will happen at home or on the road..When life happens..so does stuff..So with the right attitude, not with holding lots of humour, and trying to see the bright side of everything, then the rest will just work out the the ” crazy gringo” gets to walk. Great advice to my trip and even better advice for life. Border crossings are a breeze compared to the last 400 miles in Alaska on the Dalton to Prudhoe bay. The only difference is our grizzlies do not care what language you speak all they see is “meals on wheels”… have a safe trip. Thanks Pete Hope to see you along the route. I will be bringing bear bangers and keeping the bear spray close since I will be tenting it. lol..Though I am more afraid of the big rigs than the bears..